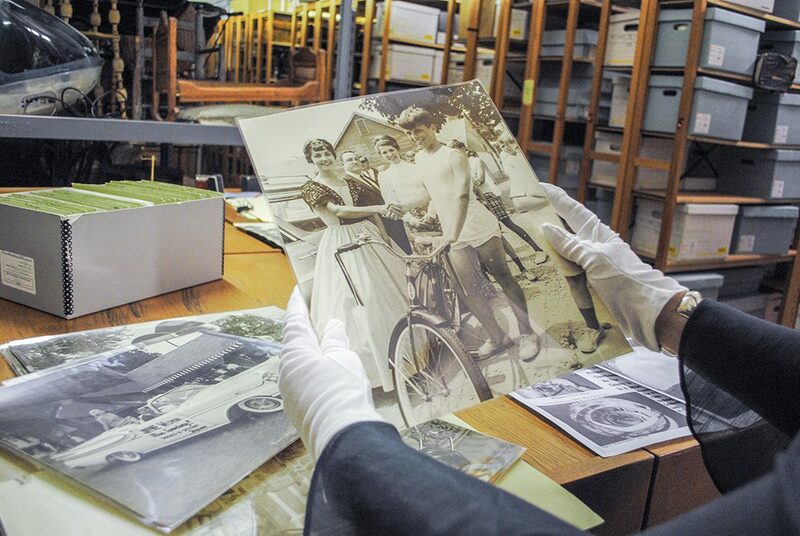 Everyday life in Zionsville was captured by photographer Lloyd Riley from the 1940s through 1960s, and SullivanMunce Cultural Center leaders hope that today’s life will be captured and shared with the museum for the benefit of future generations. “Collecting items from today leaves a legacy to the students, researchers and community members of the future,” said Kristina Huff, museum director for SullivanMunce. An exhibit of Riley’s work, “Through the Lens,” will be on display at the museum from Nov. 15 through Feb. 22, 2020. Part of the exhibit will include photos by local photographers, who are encouraged to submit images as a way to capture life in present-day Zionsville. Awards will be presented to best adult, teen and youth photographs that capture the spirit of the community. Riley’s Zionsville photos were donated to SullivanMunce by the Pike Township Historical Society, which obtained the collection from his family. The photos were cataloged and protected by PTHS. 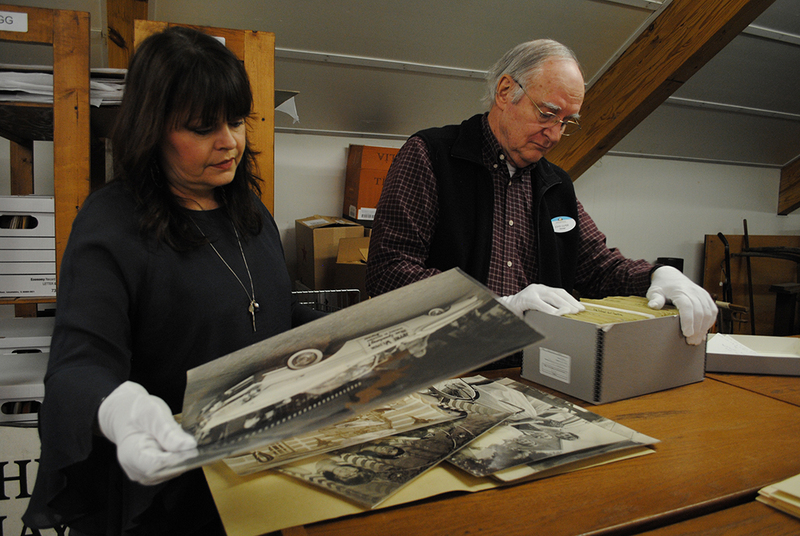 Museum volunteer John Ulmer estimates there are several hundred unique photos in the collection. After looking through the photos, Candace Ulmer, development and welcome center volunteer, said she wanted to honor Riley’s work. Candace and her husband, John, had a personal connection with the Rileys through high school football games promoted by the Shriners. “He was the most likeable, lovable person I think I’ve ever met,” Ulmer said. Ulmer added that Riley’s persona helped him bring out a level of comfort and joy in his subjects. “You can just see it in all his photos,” she said. Riley was born in 1910 and died in 1995. He is buried beside his wife in the Zionsville Cemetery. He took photographs for local newspapers and magazines but didn’t identify himself as a photojournalist. He visited Zionsville frequently, capturing events such as churches, parades, beauty pageants and high school activities. It’s these everyday events that Huff said are critical to preserve. SullivanMunce Executive Director Cynthia Young said the exhibit and photo contest encompasses all aspects of the cultural center: art, history and genealogy. One of the biggest challenges with the Riley photos is determining who is in each photograph. John Ulmer’s goal is to identify at least a third of them. It’s a reason subjects must be identified in each contest photo, which will help volunteers like the Ulmers and Huff better categorize museum materials in the future. “We are thrilled to capture that ‘who, what, when, and where’ information right at the beginning of the process before names, faces and dates grow a little hazy,” Huff said. Photos for the contest should be submitted online at sullivanmunce.org/lloyd-riley-exhibit.html by Oct. 12. Submissions should include information clearly identifying people, subject and location. Zionsville Monthly is the lead sponsor for the exhibit and contest. Art: Summer camps for youth and classes for all ages are offered throughout the year in the areas of ceramics, painting and drawing. For the first time, a metal-smithing class has been added for adults and teens. All tools and equipment are provided to create small items like jewelry, plant markers and bookmarks. The four-week class is open to beginners or those with some experience in using copper, brass and bronze to create one or two different items during each class. History: In fall 2018, SullivanMunce launched an online historical collection with a sampling of what is available in the museum archives. Old photographs, paintings and documents show a glimpse of materials that fill the building’s second floor. “People don’t normally get to peek in the drawers and on the shelves,” Museum Director Kristina Huff said. Volunteer John Ulmer has been instrumental in compiling, photographing and continually adding items to the online database. Roughly 350 items are available for viewing in the database, and they are only a fraction of the thousands of pieces in the museum. Genealogy: For those wondering what to do with their DNA results, a volunteer genealogist is available on Wednesdays by appointment to assist with research. Zionsville resident Jennifer Van Horn turned her interest in genealogy into a retirement passion and is now a certified genealogist. Van Horn and Candace Ulmer are planning quarterly genealogy workshops with topics based on participant interest.